Low back pain can range from being an annoying niggle to excruciating pain stopping you in your tracks. Up to 80% of people will experience back pain at some point in their life. The pain may radiate into your buttocks, groin or even down the leg an into your foot. We’ve had a lot of experience in helping people to be free from their back pain. We are often asked is it a muscle or a spine problem? The answer is both as they are all connected! You can’t have one without the other. We will work on both your spine and muscles to help restore the correct motion to your spine and reduce muscle spasm. This in turn will help to reduce any nerve or ligament pain as well. Chiropractic helps to alleviate discomfort whether it is from the spine, ligament, muscle or nerve as they are all connected. We will look for areas of the spine where the joints aren’t moving properly and help to restore the correct motion to them by an adjustment. If the condition doesn’t involve the joint we have many other therapies available such as spinal decompression, deep tissue massage, stretching, cold laser, acupuncture or corrective exercise that separately or together can deal with most involving the low back and if there is something beyond the scope of my practice, I will find the right specialty best served to deal with your problem correctly. 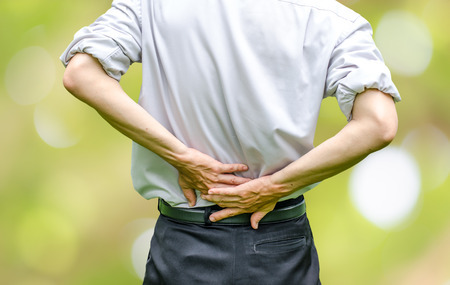 If you are experiencing lower back pain, it is important to have it thoroughly assessed before treatment is started. 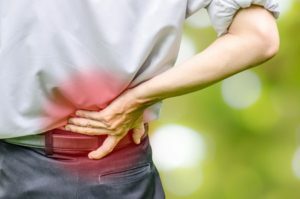 We will take an indepth history, do appropriate testing and make the best recommendation to get you out of pain and back to your regular activities as quickly as possible.